In occasion of the St. Moritz Art Master’s festival, Happen was invited by curator Rainer Opoku (St. Moritz Art Masters) to present the previously commissioned palimpsest-like floor installation by Kueng Caputo with an additional work for the arts festival. ‘The game goes on with or without us’ played with the 2013 festival’s thematic spotlight on China. 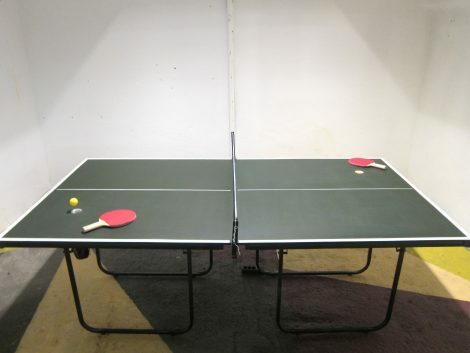 Kueng Captuo re-issued an interactive installation consisting of a 3/4 size ping pong table fitted with two hairdryers that are programmed to emit air through a hole on each side of the table. 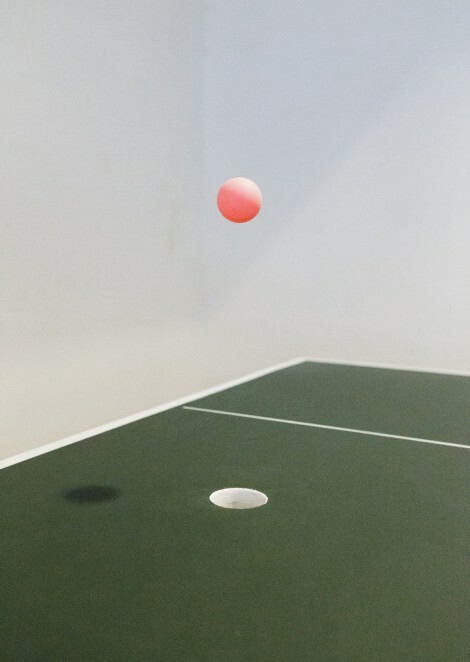 The viewer is presented with a ping-pong ball hovering in consecutive sequence above the opposed playing field. Devoid of the rhythmic clock-like sound, Kueng Caputo freeze the split second before a ball is served and create an oscillating image triggered by air. The paddles are left on the table as an invitation to intervene. 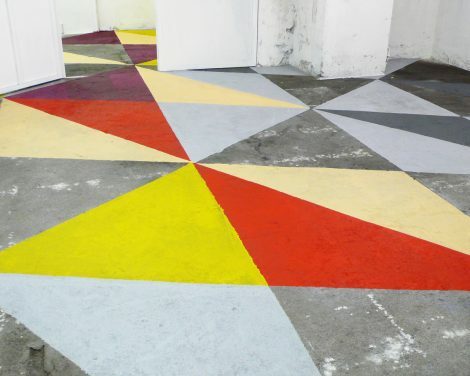 The floor installation in the former metal workshop was conceived as a ‘stage’ for the design show Neu/Vertraut. Inspired by traditional Engadine sgraffiti, the coloured patterns create a new layer of perception that negotiates the correlation between past and current use.